When Reggie and I were finishing up our recent parenting book, I called him to tell I’d noticed something as I read the final manuscript. I realized that none of the personal stories we ended up using in tbe book painted either him or I in a favourable light. Each story was either a humorous or slightly serious saga about the mistakes we made as fathers. None of us intended to do that…it just happened. A part of me wanted to add at least one great story, but I held back. I figured people would see through it. The reality is we’re not experts on parenting, we’re just parents. Most of us have a fear deep down that just won’t measure up as parents. Some of that fear is legitimate because we are actually flawed human beings. My temptation is to hide that from my kids. But I wonder if, when we do that to our kids, we become like the politician, preacher or public figure who pretends to have all the answers. Part of us doesn’t believe him (sometimes with good reason), and even if his public persona matches his private walk, it leaves us feeling like we can’t relate. Contrast that with a leader or figure who admits his weaknesses and owns his mistakes (it’s one of the things I love about Reggie Joiner). You and I warm up to people like that. What if in that insecurity lies a great opportunity? 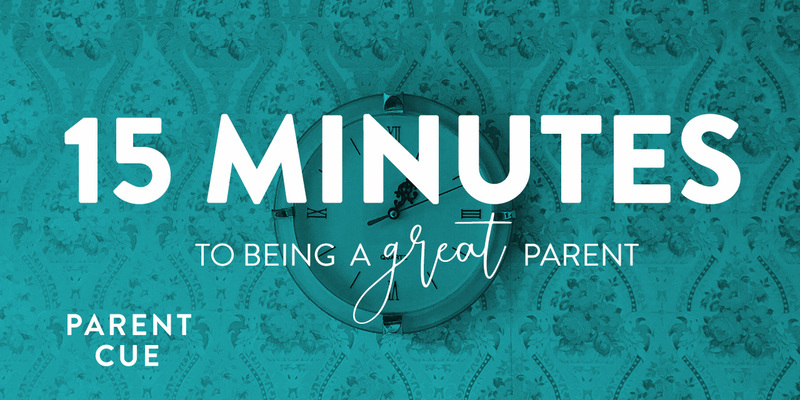 What if your flaws and shortcomings actually give your kids a front row seat to the grace of God? Admitting our mistakes may actually show our kids that we are in a growing relationship with God. That we are dependent on God and on others to figure out what’s best. Appropriately admitting our shortcomings and showing them where we seek our help might actually give our kids a front row seat to God’s grace. That can range from a “dad’s sorry he lost his temper’ with a three year old to a long conversation at the kitchen table with a fourteen year old. At a minimum, it’s not taking ourselves too seriously while showing them we’re serious about our relationship with God. What are you doing this week that will show your kids who you really are, and who God really is? What if you greatest insecurity is actually a great opportunity for you and your child to grow?